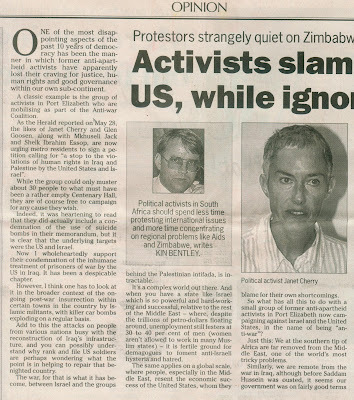 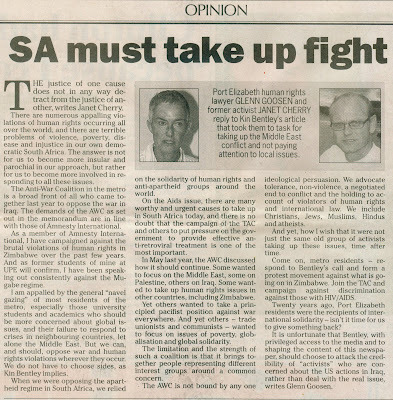 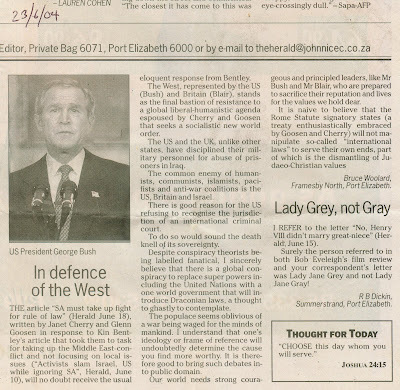 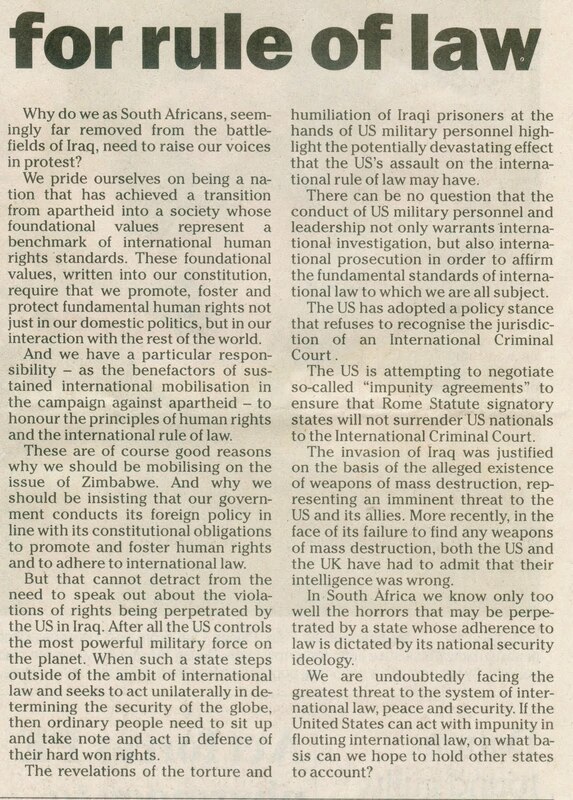 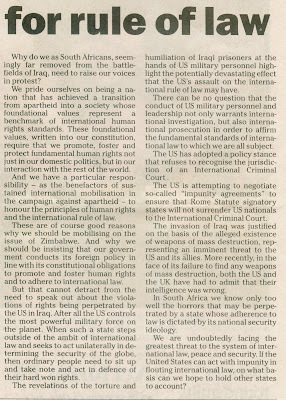 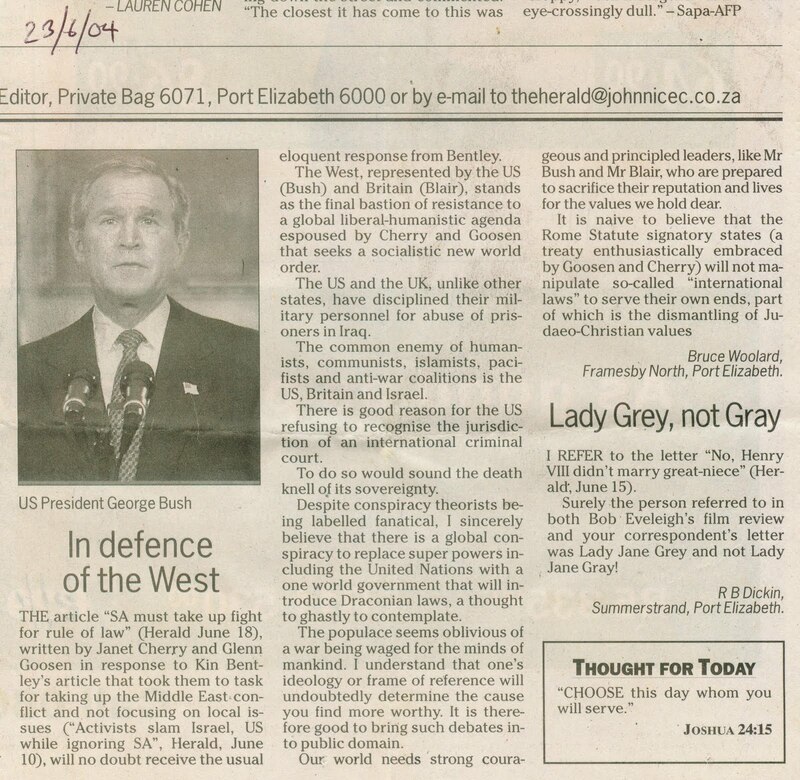 I stirred up a veritable hornets' nest in 2004 with an article in the Herald, Port Elizabeth, exposing what I saw as the hypocrisy of activists protesting about the situation in the Middle East while remaining volubly mum about the ongoing crisis in Zimbabwe, not to mention at home with Mbeki's Aids denialism. 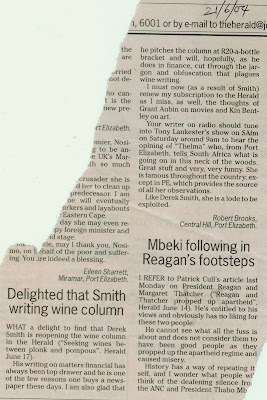 This section also includes a little letter to the Sunday Times criticising the cartoonist, Zapiro. 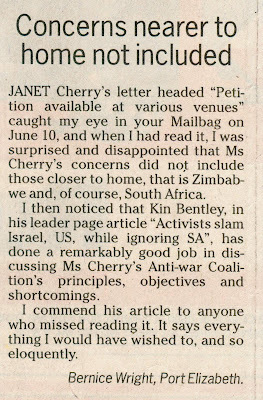 The concluding part of my piece on Janet Cherry and Glen Goosen. 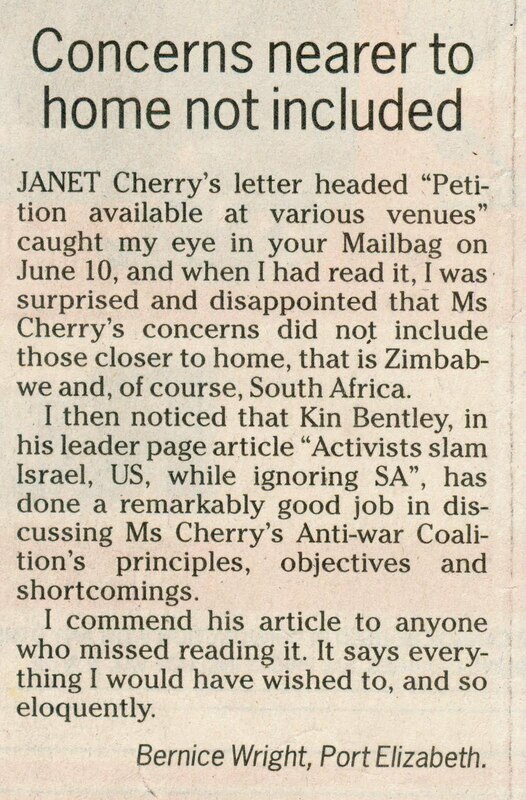 I was happy to get support from Bernice Wright, whose letter appeared on June 17. 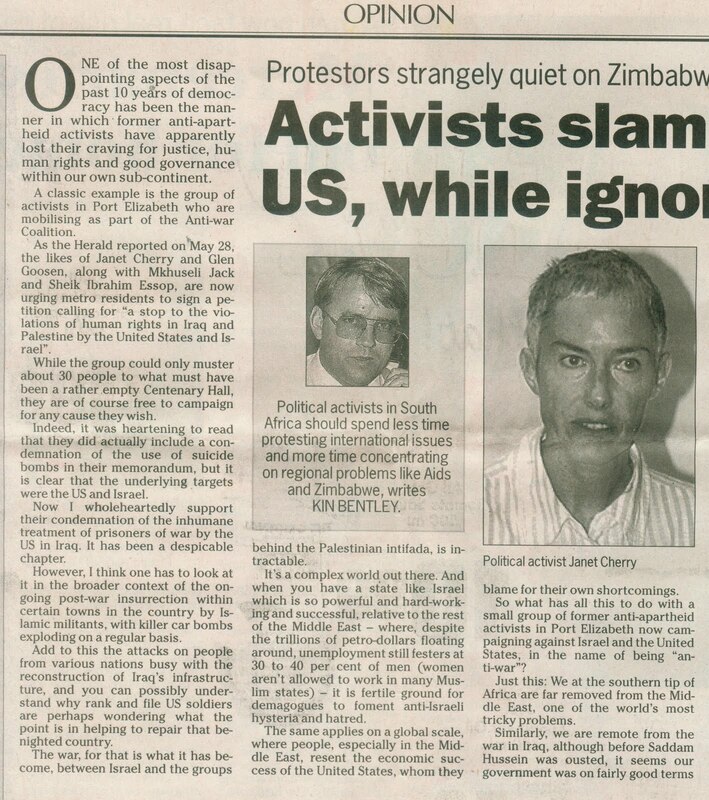 Then came the inevitable backlash, as Goosen and Cherry responded to my piece on June 18. 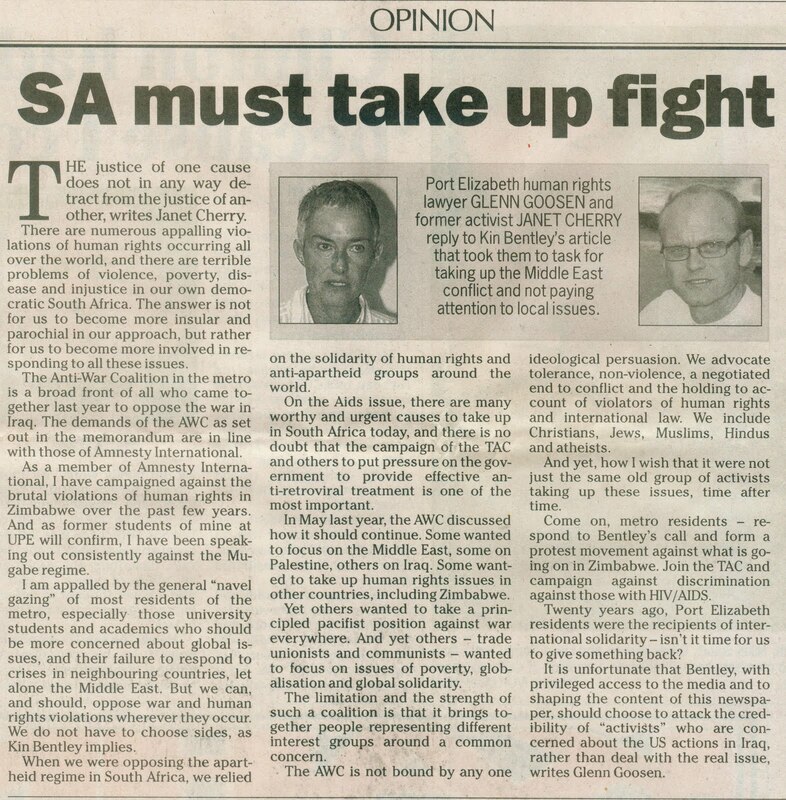 Their article concludes below. The rest of the Cherry/Goosen article. 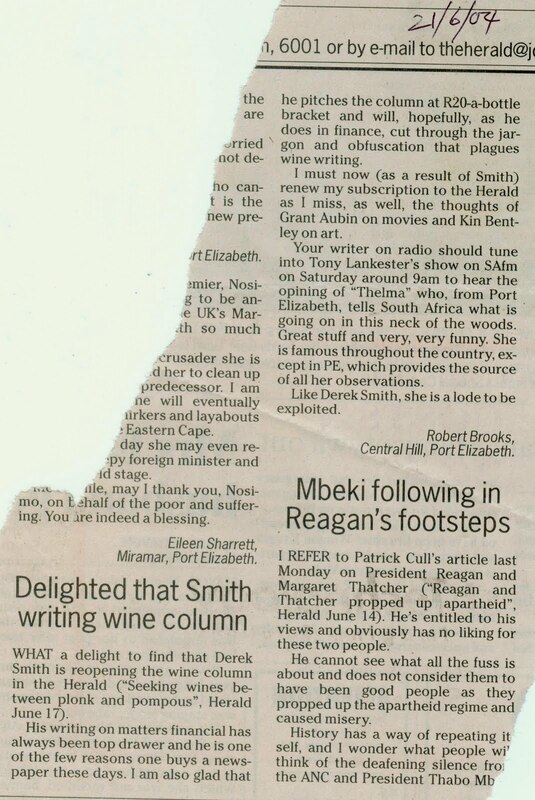 Former Rhodes fine arts prof Robert Brooks gave me a welcome boost in a letter from June 21, 2004, which was mainly about my former editor, Derek Smith. 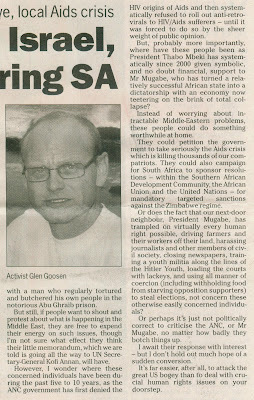 Another letter-writer, Bruce Woolard, took up the cudgels on my behalf on June 23. 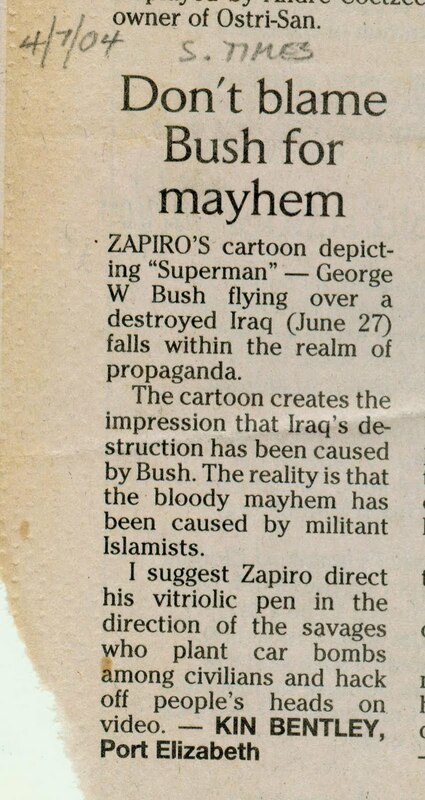 I had a little jab at Zapiro in the Sunday Times of July 4, 2004. 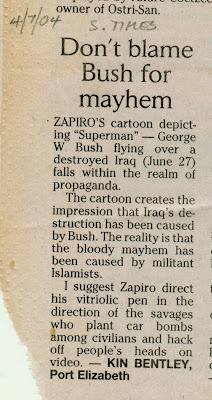 This response followed on July 11.